When we hear people saying Canada is God’s country, I can see why they say so- with so much of nature’s endowment, geographic proximity to world’s most industrious nation and the pioneering nation building work of the early settlers. But “what got us here, won’t take us there”. For Canada to stay on the curve of high quality of life and grow, we must focus on the concept of “Demographic Dividend”. The changing and hugely diverse demographics of Canada could be either recipe of success or disaster depending upon- if we leverage it for growth then it will minimize our divides and avoid the problems associated with sectarian demands. But if we are unsuccessful in doing so, then our demographics will become a ticking time bomb. Never before in the history of mankind, human capital was so central to economic growth and social well-being of any society. With the advent of knowledge and service based economy, human capital has emerged as a vibrant source of workers and consumers not only for the country but for the global economy. Beneficiaries of the well-being of the society are always the people through the social agendas that any country undertakes. No country can implement a strong social agenda without a sound economic base and growth. Our workforce is aging and birth rate reduction is compounding the problem of our social well-being. The proportion of seniors in Canada’s population will balloon to as much as a quarter of the population by 2030, from 14 percent now. About sixty percent of Canadian workforce don’t have pension plan and forty percent of our current workforce will reach retirement age over the next two decades. This crisis should not be looked from financial angle but the fact that it will have serious social repercussions. Our policy makers don’t want to talk about it, the political landscape as well as the divisive nature of the democracy doesn’t help us in undertaking this serious problem with the sense of urgency that it deserves. Hence, the Civil Society will need to seriously deliberate it. More than 600,000 Aboriginal youth will enter the labour market between 2001 and 2026, with their annual population growth of 350% more than the rest of Canada. Over the same period, the rural and remote regions of Canada- where the 50% of the Aboriginal population lives- will see $140 Billion dollar in natural resources projects. The big question to ask is whether we will see the demographic dividend through this opportunity? Is our country, our policy makers and the civil society aligning its priorities and actions to benefit from this large young Aboriginal population in resource rich remote areas or will it be giving birth to many Caledonia like situation and become source of major social tensions and shame for Canada. With this background, let us stare at the reality that is there today. In 2006, 13.2% of working age Aboriginal peoples was unemployed compared to 5.2% for non-aboriginal Canadians. Doing business on Reserves takes four to six times longer than what takes outside Reserves. The Median income of the Rest of Canadians is 54% more than the Aboriginals. Only 42% of Aboriginals finish high school compared to 61% for rest of Canada. Leaving aside the pathetic number pertaining to quality and availability of housing, incarceration and suicide rates and many other factors, add to these numbers, the cost of Aboriginals not participating fully in Canadian economy. What was $7.5 Billion in 1996 will be $11.13 Billion in 2016 to pay for the social program associated with the Aboriginal poverty. The high-growth rate of the working-age Aboriginal population could be a blessing or a curse. As our country ages, there will be premium on younger Canadians whose efforts and full participation in economy will need to support the aging Canadians and support tax revenue or otherwise they will be seen as economic costs and that is not small for the Aboriginals alone. We are not advocating here from social and cultural aspect or trying to be JUST to our brothers and sisters from the Aboriginal community. We are making a strong case for the Demographic Dividend for Canada and for all Canadians in our economic interests. All Canadians have stake in Aboriginal economic development and this message has not become one of the main themes of mainstream Canada. At the same time, we all also may agree that immigration is critical to Canada and the conventional wisdom justifies it to support shortage of skilled workers and to complement the aging population. However, a 2007 Statistics Canada study shows that the income profile of recent immigrants deteriorated by significant amount from 2000 to 2004. The Fraser Institute report suggests that the tax revenue received from immigrants doesn’t exceed the government expenses relating to them. The CD Howe Institute report concludes that the current immigration trend can’t keep Canada’s population young in the near-term. Employment statistics also brings into question whether skilled Immigrants, with a 34% unemployment rate are successfully meeting existing labour market needs in Canada. One of the major contributors to the low incomes of recent immigrants is the large number who bypasses the government screens as most of them are the family members and refugees for whom we have not seriously considered how to transition them to high earning capacity. The key question surrounding all the said statistics is not whether immigration is right for Canada or not but what we need to debate is whether our current approach and policies to immigration is going to further exacerbate the economic and social problems of Canada and for the new immigrants. We are not targeting potential migrants of Canada in right places and of appropriate profile. We seem to have looked at this as immigrant’s problem and how well and how poorly we have handled after immigrants arrive in Canada and not from the angle as what Canada needs from its immigration policy. 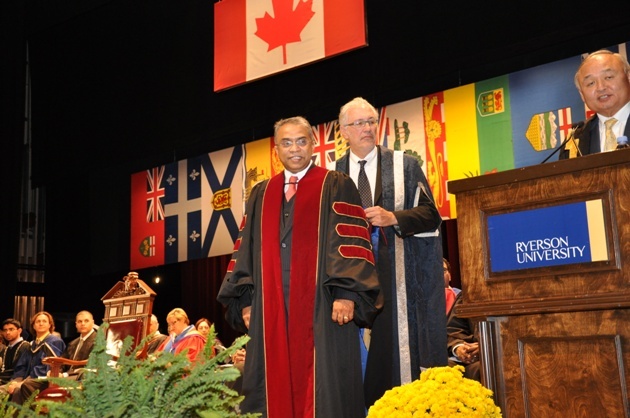 I believe that the Canadian universities can play a big role in creating higher “demographic dividend” for Canada. Universities should not look at foreign student education purely from the revenue point of view and try to focus on finding solution as why Canada attracts only 4,000 or so students from India compared to 96,000 to Australia. America over past several decades brought the best and brightest for the higher education from all over the world and it fuelled the Innovation engine of the country? These students stayed back and became the top earners and the top contributors to the American economy. Canadian universities can take this one step further by becoming a powerful tool for the immigration causes by having some form of footprint in our largest emigrant countries and be the preparation ground and certification factories armed with local knowledge and the Canadian necessities and sensitivities. 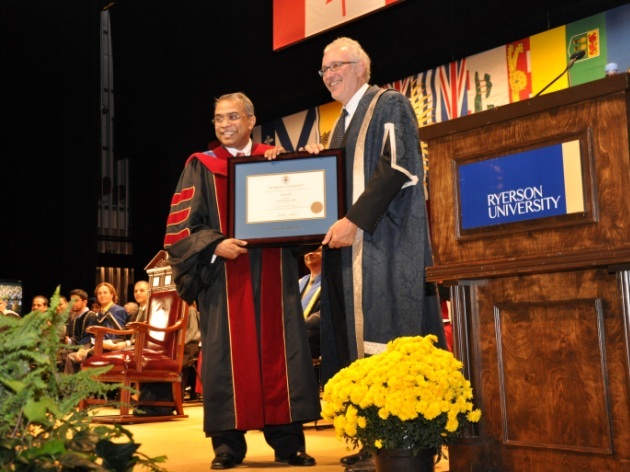 Add to that as how we can attract the best and the brightest in large numbers to Canada for higher education. With the stronger footprint of our universities in emigrant countries, the question around the foreign credentials will be significantly smaller problem and the readiness of the new immigrants to get absorbed in Canada will be significantly higher. Immigration comes with short-term costs but in the long-run boosts employment and the economic-well being, unless we continue immigration with mostly socialistic agenda and cave into pure political considerations. One of the best endorsements of high immigration rate came from the 1991 report of Economic Council of Canada, which called for immigration to be increased to bring the Canadian population to 100 Million and Royal Bank of Canada recommends boosting Canada’s immigration rate to 400,000 per year. The RBC study also found that if all new Canadians were fully employed at their level of education and experience then the total personal income would increase by $13 Billion. This appears to be true when you hear anecdotes that Nuclear Physicists are driving taxi and doctors are selling TVs in Future shop. In these and many situations, we are justifiably asking about the acute under-employment but there is also room to ask at the time of selection of these immigrants as how successfully some of these individuals were settled in their native country and how highly rated, in their own country, was their institutions and the degrees and the organizations that they worked for. Singapore is one example for us to evaluate as they have elaborately mapped out the top Indian institutions and their programs and which organizations are best for which type of work experience. There is another factor that rarely gets attention in the public space. US Census Bureau report few years ago suggested that the relative number of “white” Americans was dropping quickly moving from 73% of the population in 1977 to 53% in 2050. One may be negligent in her thinking that just because morally and logically it is OK in this globalized world that the social/ethnic composition of the society can be rapidly changed- it doesn’t negate the fact that it may cause social commotion. What we are emphasizing that the immigration and leveraging diversity of our workforce and fully engaging our Aboriginal peoples is critical to our success in future. We must boost the immigrant’s number significantly, our immigration policy must support our Canadian economic agenda. At the same time, it is utmost important to continue maintaining our social calm that we have in Canada. Our selection of new Canadians has to be targeted and integrated with what and how well we can assimilate new immigrants. We need not be the capital of the world for the bleeding heart policies. One of the areas that has not received much attention is that the new immigrants who become entrepreneurs are more likely to hire new Canadians not only from their own ethnic background but they are very comfortable with hiring all types of immigrants. And the impact of these entrepreneurs and highly skilled professional immigrants on international trade could also be significant. We should select entrepreneur and entrepreneurial immigrants and also support programs to nurture entrepreneurship amongst new immigrants. We need to fundamentally re-orient our thinking for the continued and sustained well being of Canada. We are at the tipping point to make diversity of our population and our First Peoples participate fully in our economic agenda and to build a just and a vibrant society.